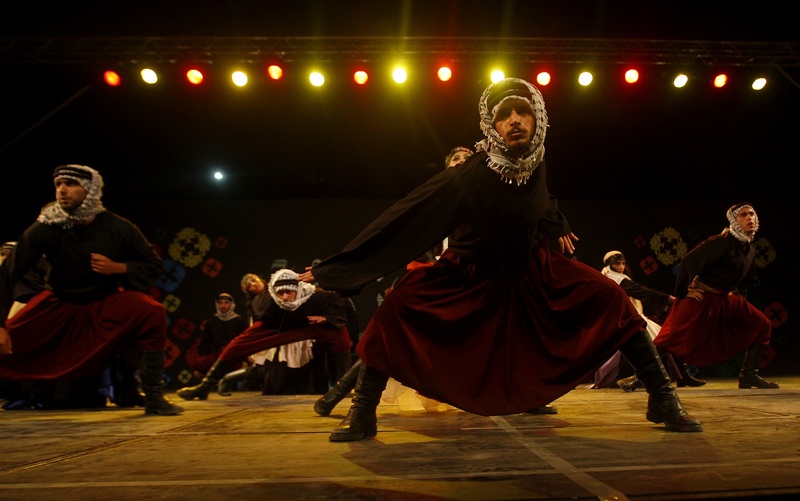 Striking a fine balance between modernity and heritage, El-Funoun’s “Dance Freedom” includes some of the Groups latest contemporary Palestinian dance work as well as a selection from its classic, folk-inspired repertoire. Through this mix, it aims at sharing Palestine’s cultural vigor and diversity with the world. This production blends themes of harvest, nostalgia, flirtation and defiance.